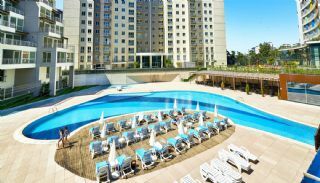 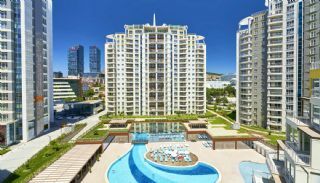 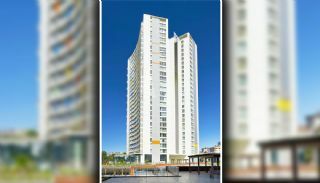 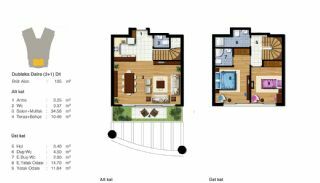 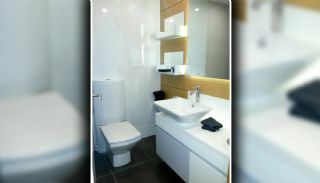 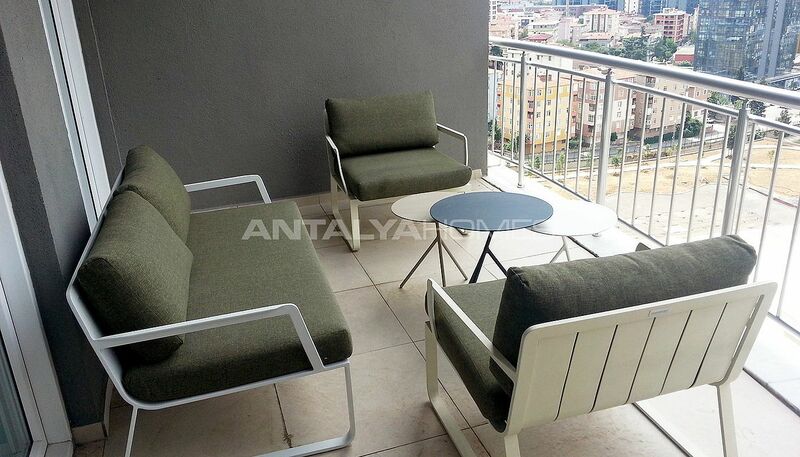 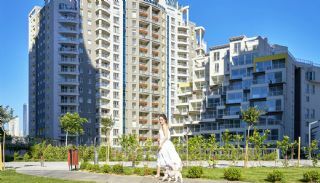 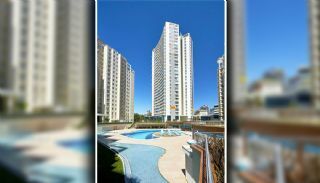 Sea view apartments are situated in Maltepe, Istanbul. 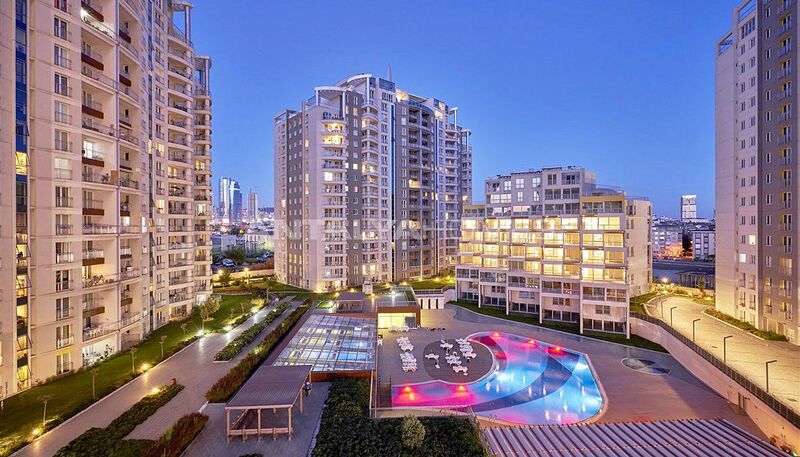 The region offers the ease of life with being located 500 mt away from the interconnected Kadıköy-Pendik and subway lines. 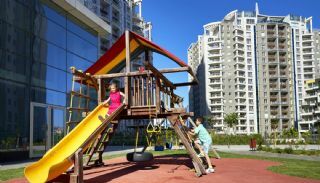 There are many transportation facilities like E-5, TEM, coastal and bus route. 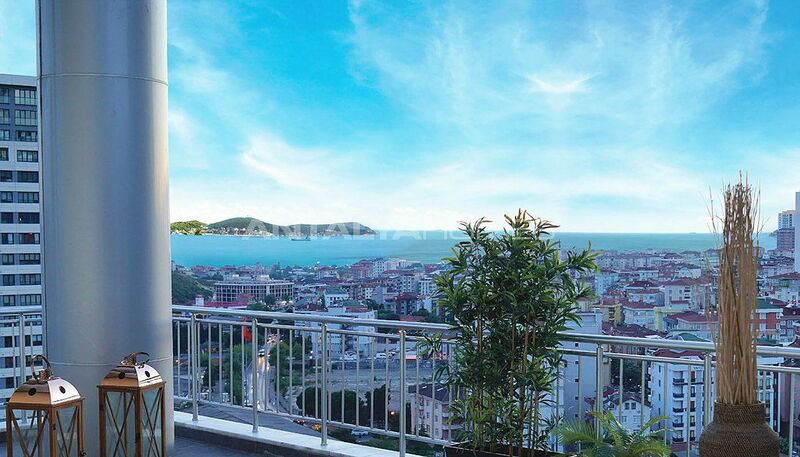 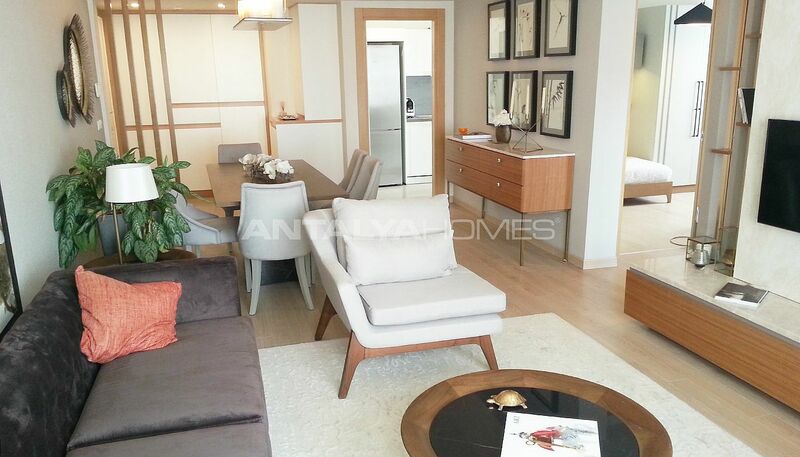 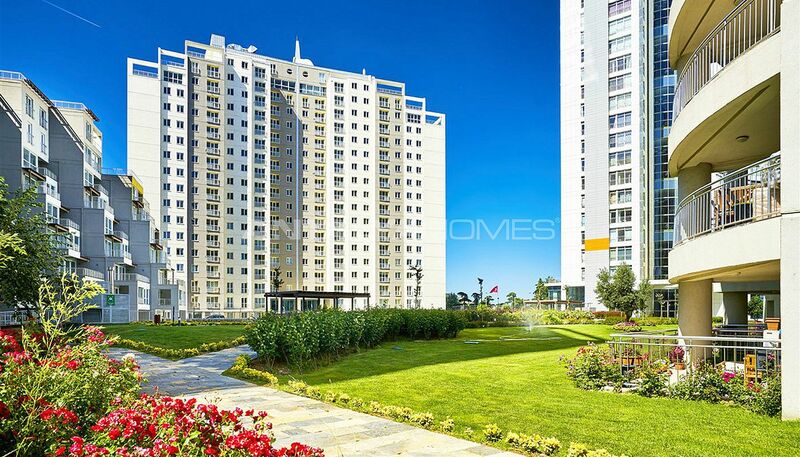 Maltepe offers trustable and valuable investment opportunity for those who want to invest. 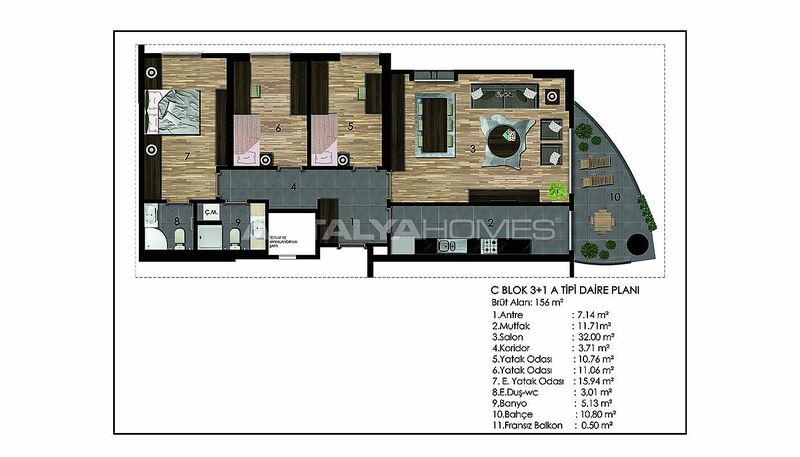 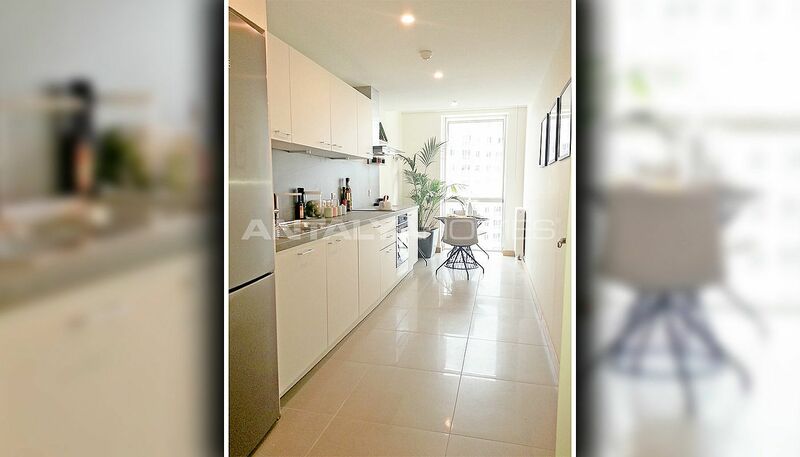 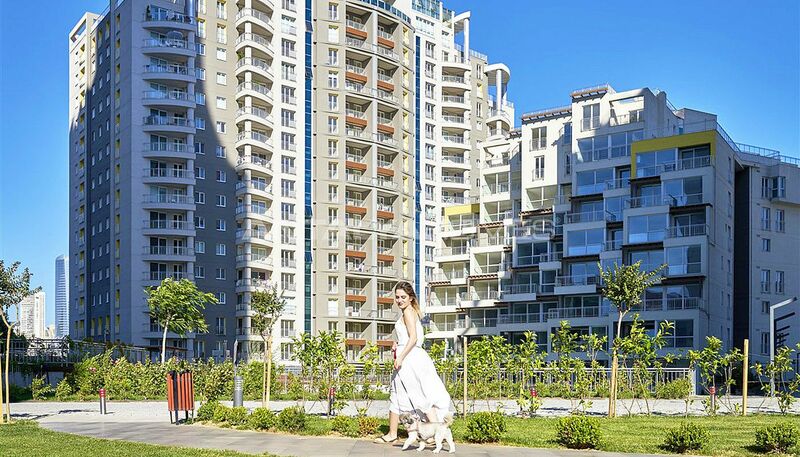 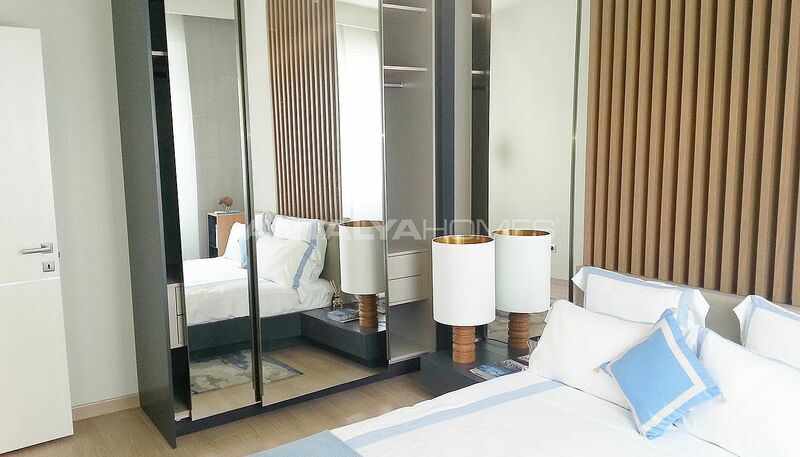 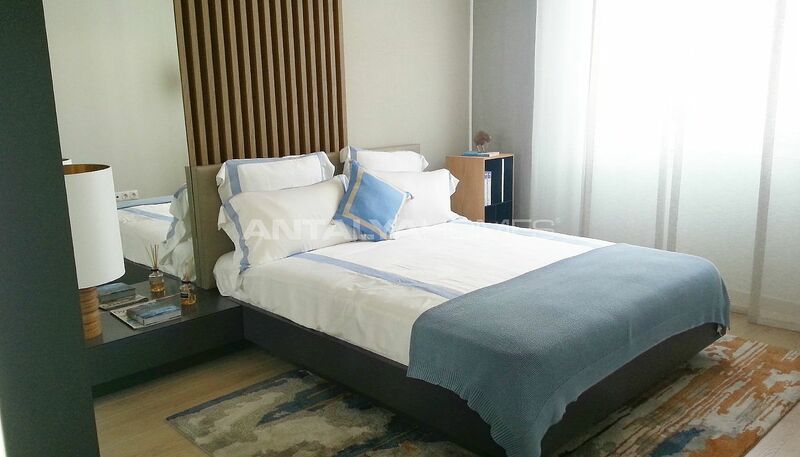 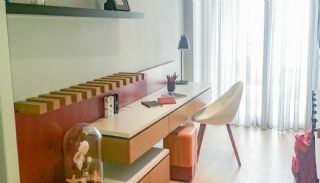 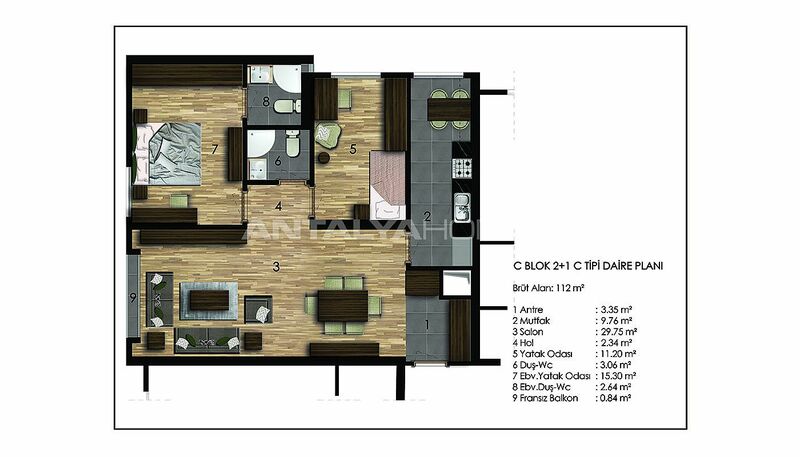 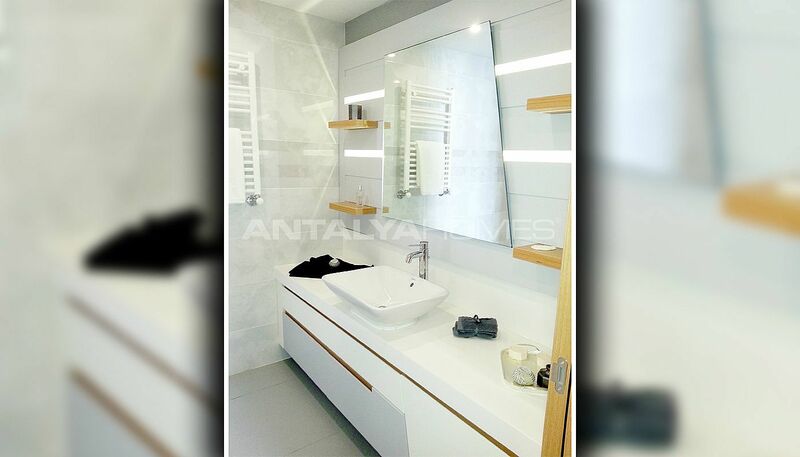 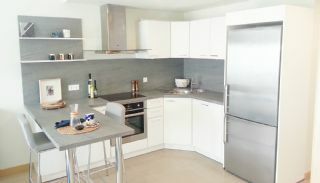 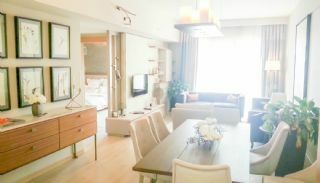 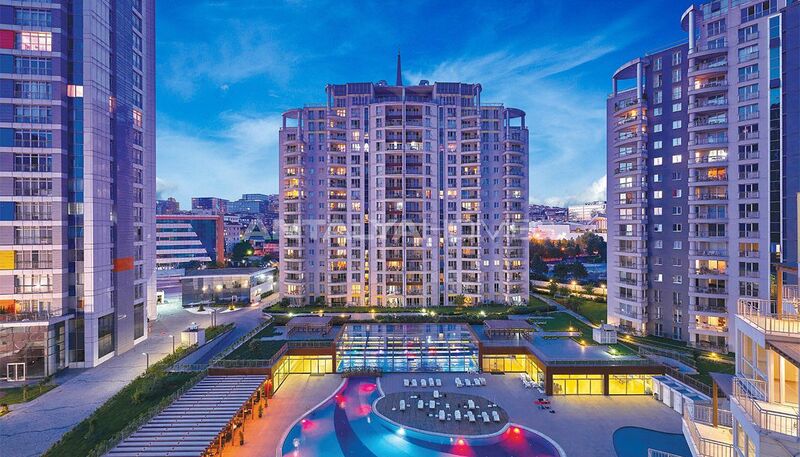 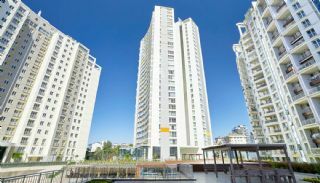 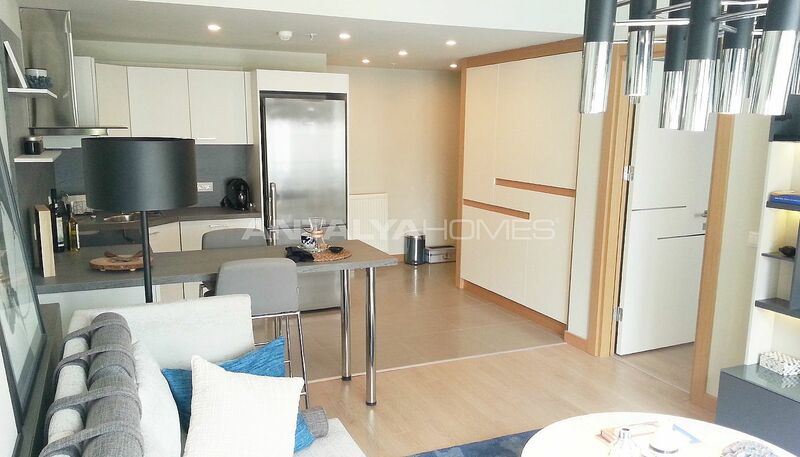 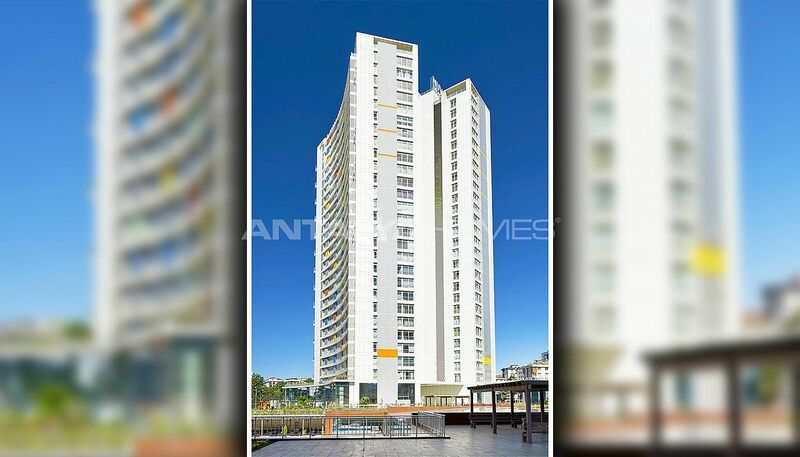 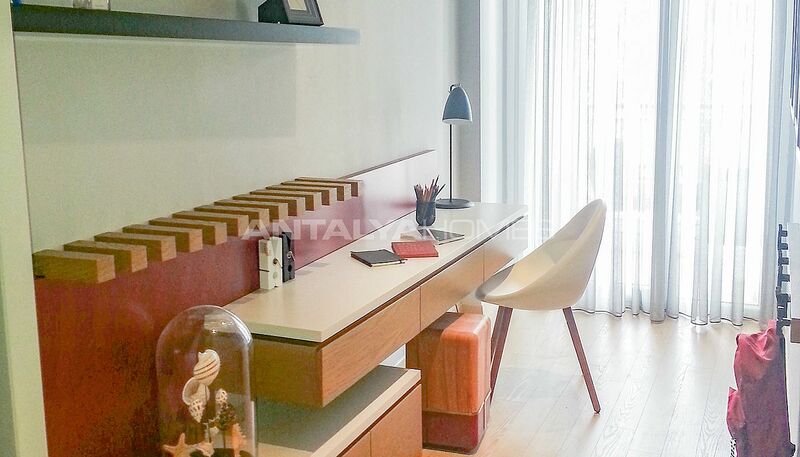 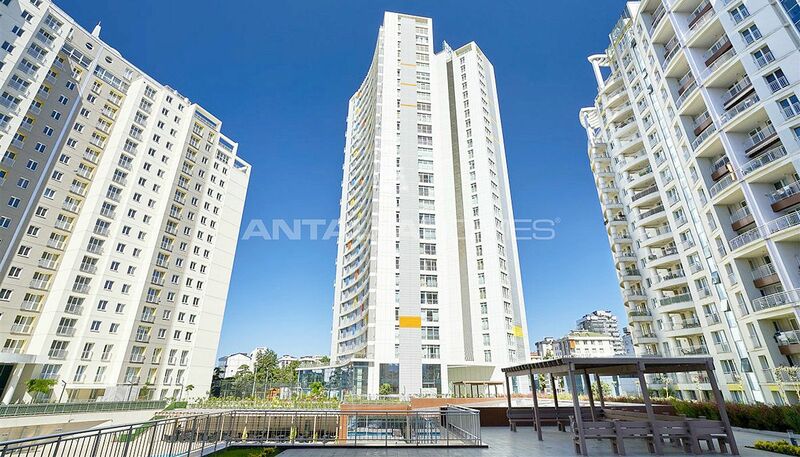 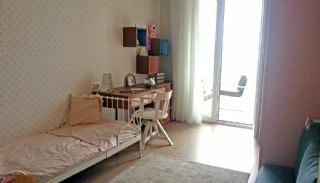 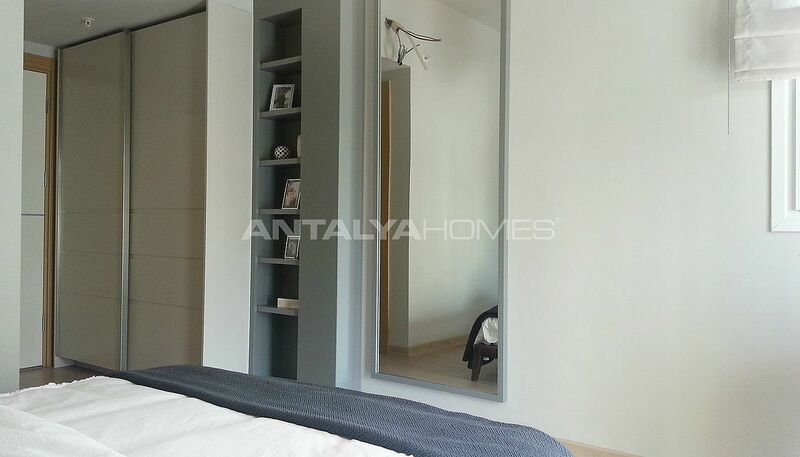 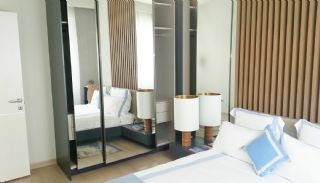 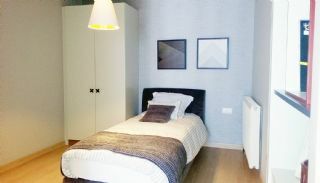 These apartments are walking distance to the Maltepe Park Shopping Mall, Cumhuriyet Park, Courthouse, Piazza Shopping Mall, Anatolim Shopping Mall and IKEA, 5 minutes away from Bahçeşehir College, coastal road, Hiltown Shopping Mall, TED Rönesans School, 10 mintues away from Maltepe and Bostancı İDO, Yeditepe University, 15 minutes away from Marmara University, International Sabiha Gökçen Airport, 30 minutes away from Sabancı University, Terraki Schools and Özyeğin University. 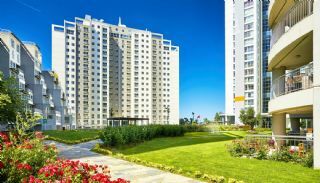 Apartments in Istanbul for sale are 66 km to the new Istanbul Airport, 19 km to the International Sabiha Gökçen Airport and 2.5 km to the coastal road. Schools in the region: Private İstek Uluğbey Schools, Gökyüzü Schools, Bahçeşehir College, Kartal Doğa College, TED Rönesans College, Istanbul Şehir University, Yeditepe University, Marmara University, Terraki Schools, Özyeğin University and Sabancı University. 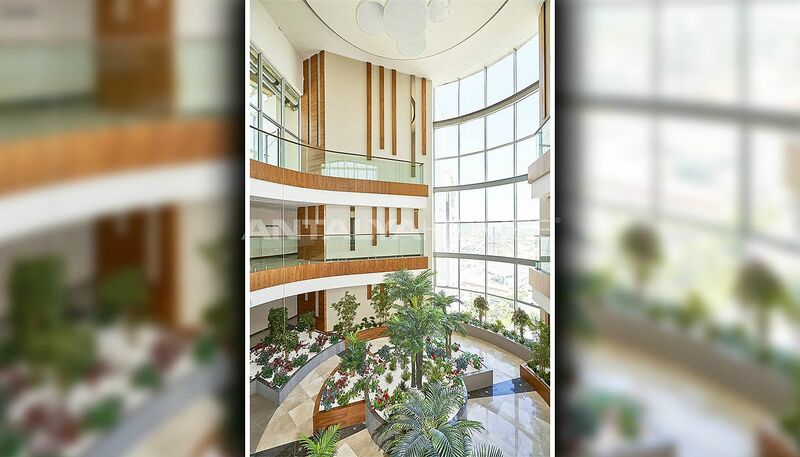 Hospitals in the region: Avicenna Umut Hospital, Private Maltepe Medical Center, Private Maltepe Hospital, Private Ersoy Hospital, Private Vera Hospital, Private Veni Vidi Eye Hospital, Private Atalar Hospital and Kardelen Medical Center. 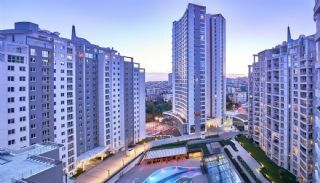 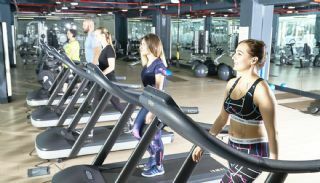 Shopping Mall in the region: Maltepe Park Shopping Mall, Karaca Shopping Mall, Istanbul Shopping Mall, Piazza Shopping Mall, Anatolim Shopping Mall and IKEA. 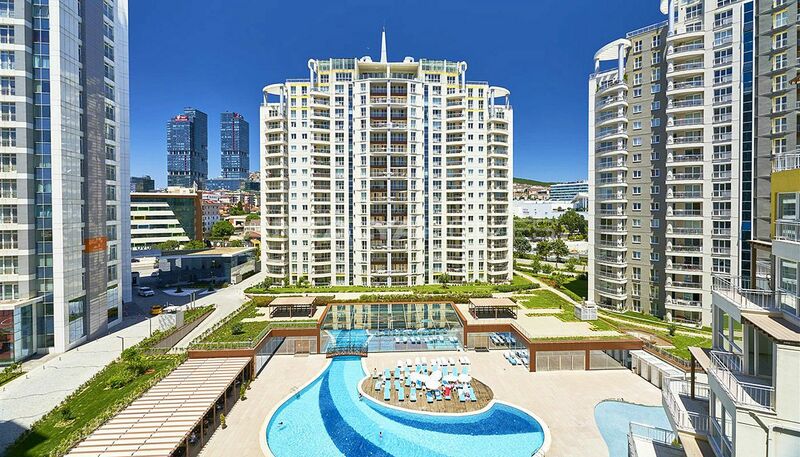 The residential complex has 187.505 m² construction area and 52.000 m² land area. 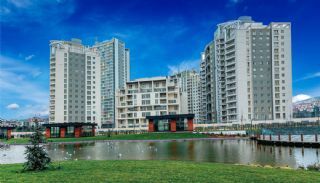 The complex has 5 blocks. 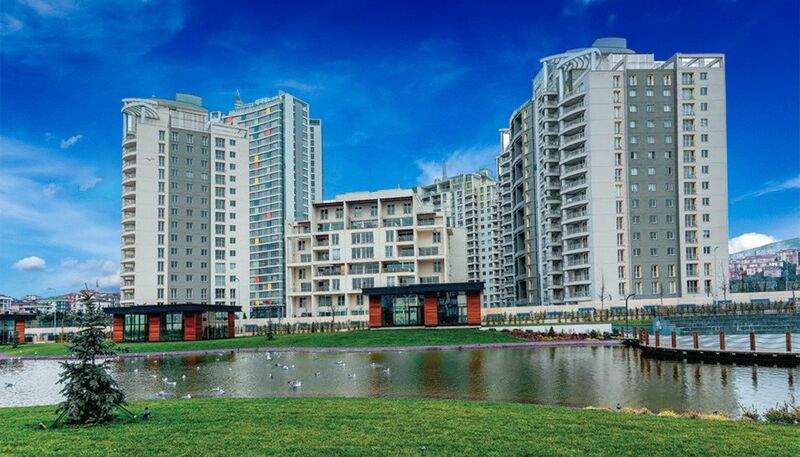 There are 999 apartments and 8 commercial units. It has many rich features such as indoor and outdoor swimming pool, indoor car parking area, fitness center, pilates, yoga and Zumba studios, spa, Turkish bath, basketball, mini-football, volleyball and tennis field, children’s playground, running and walking paths, sun terrace, vitamin bar, special design arrangement garden, 24-hours security camera system and security, cafe, stores and offices. 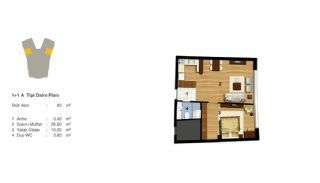 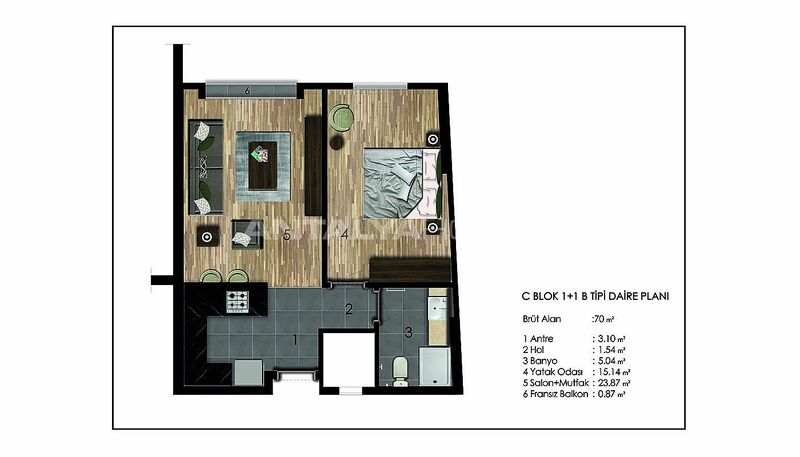 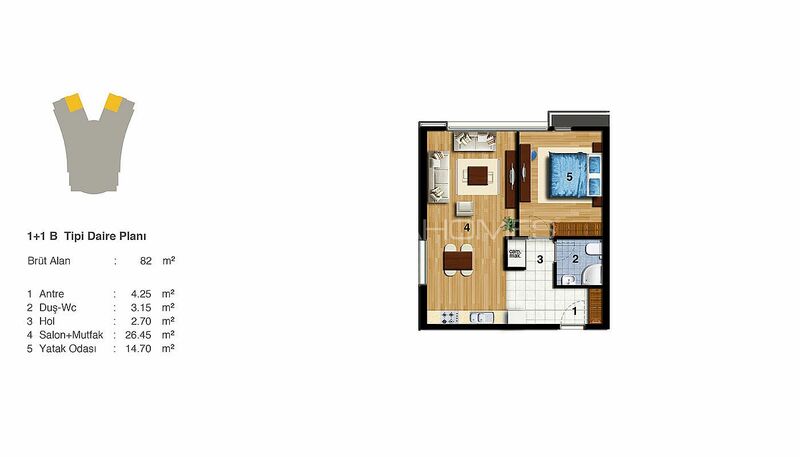 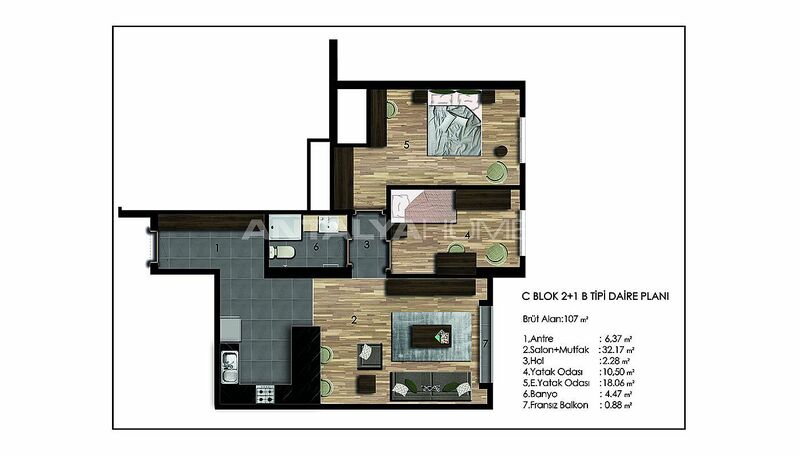 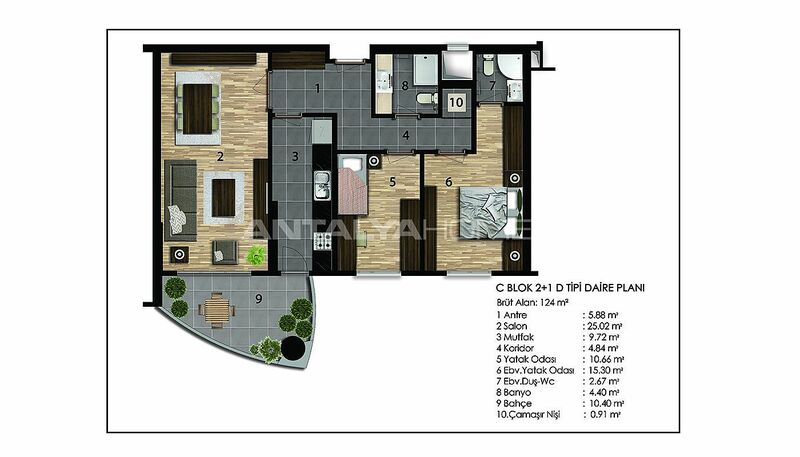 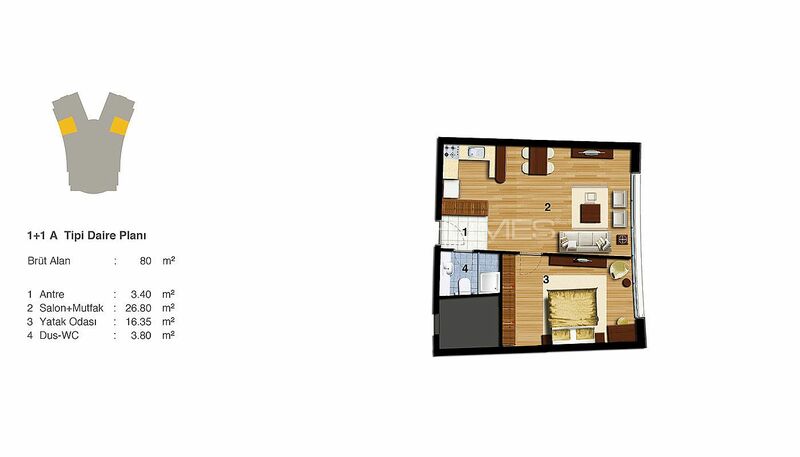 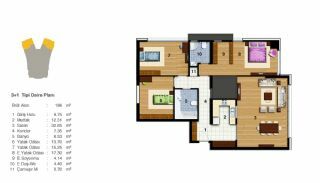 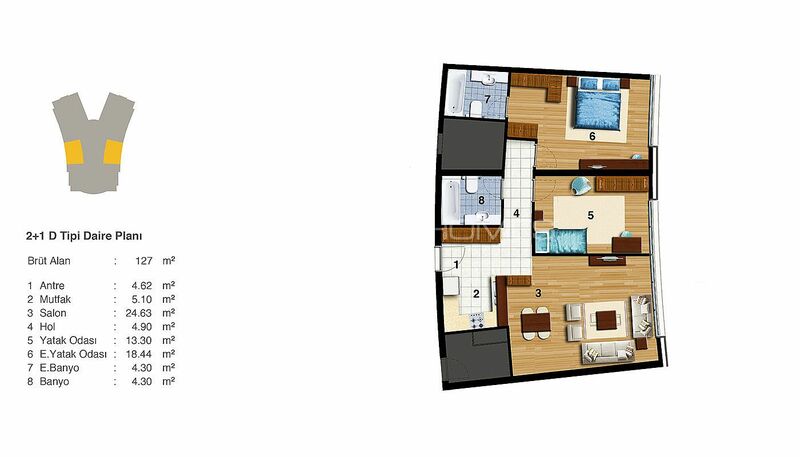 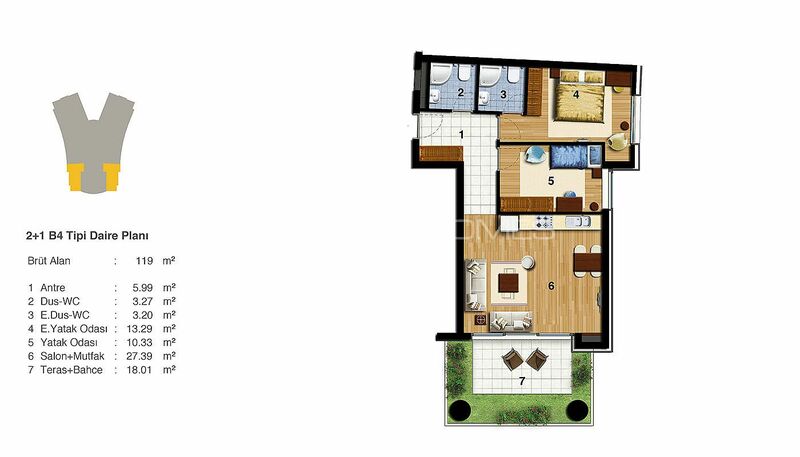 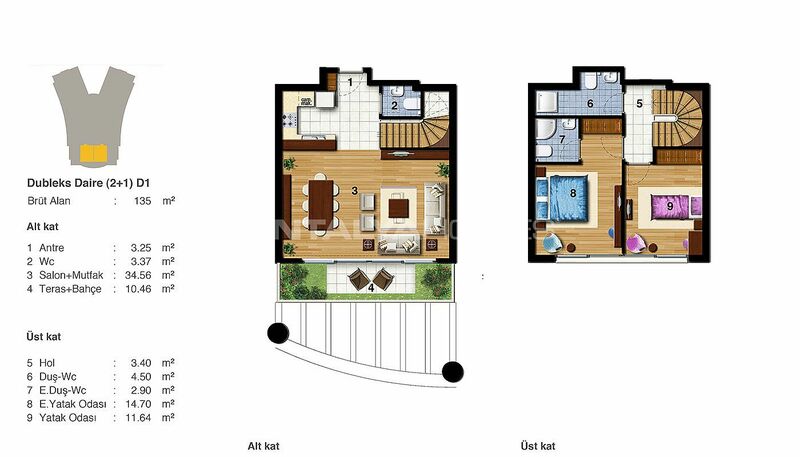 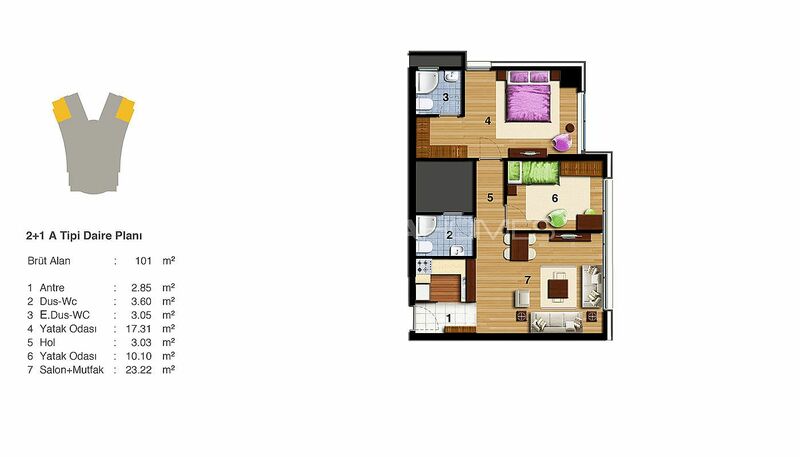 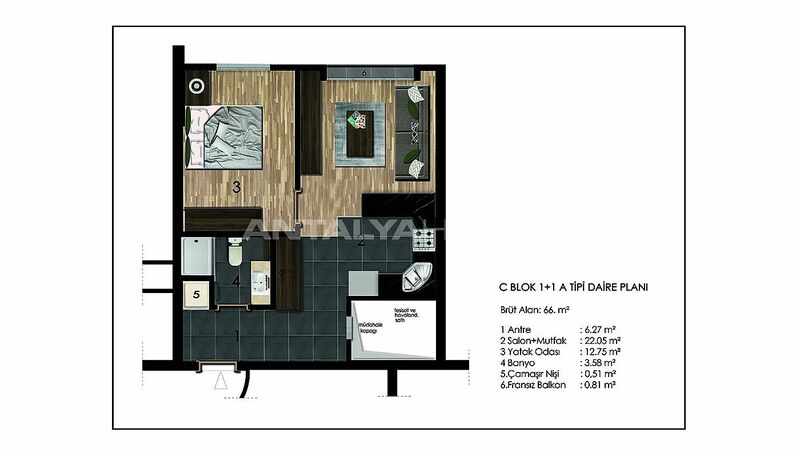 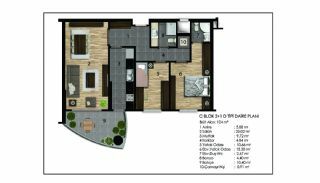 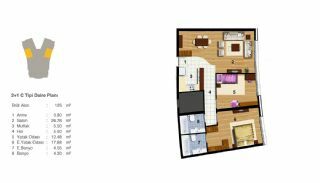 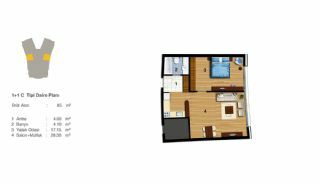 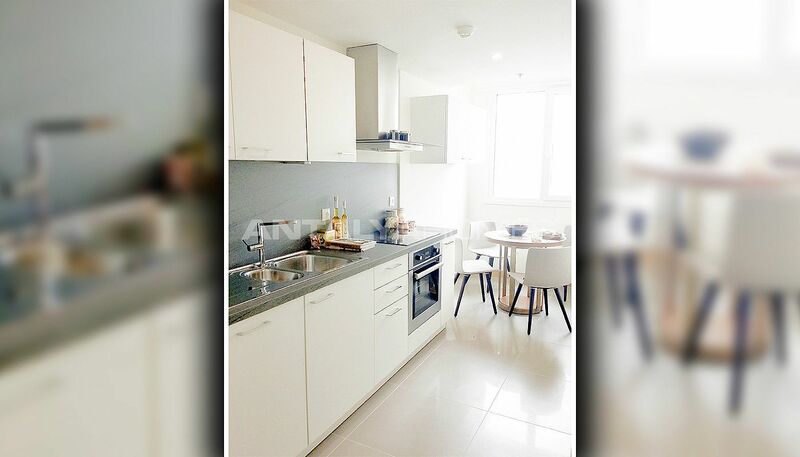 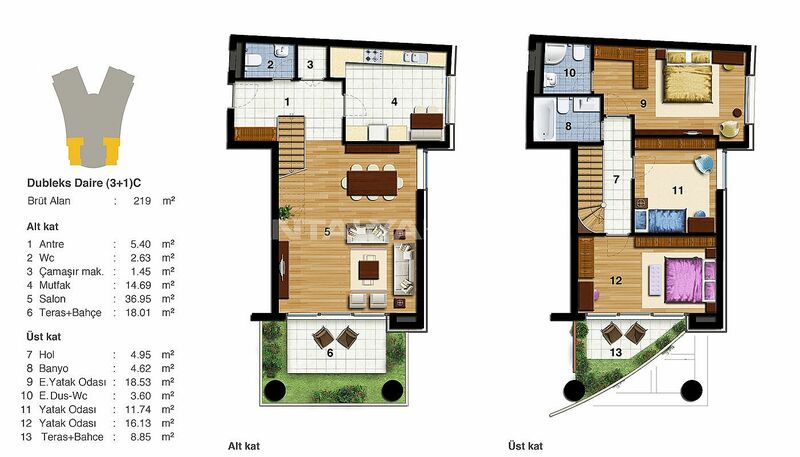 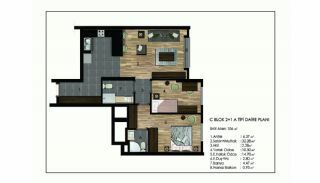 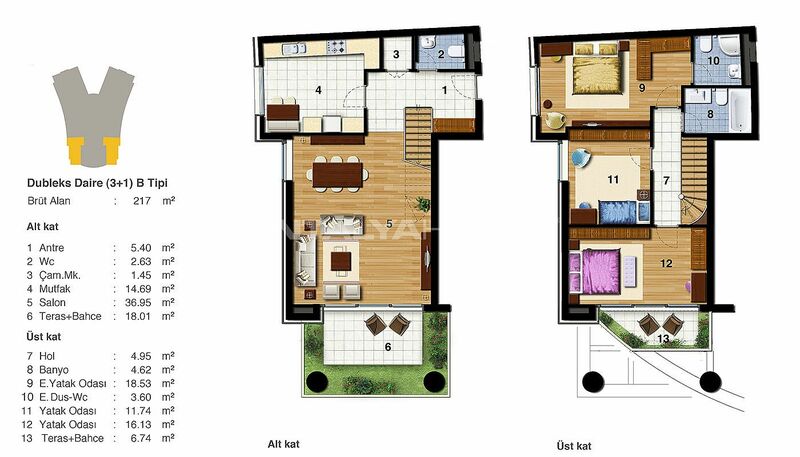 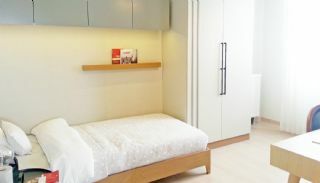 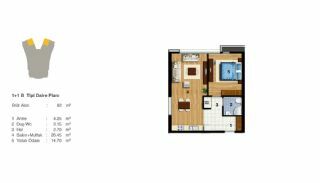 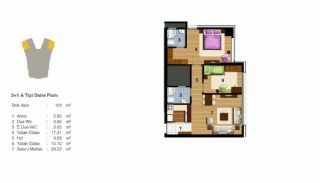 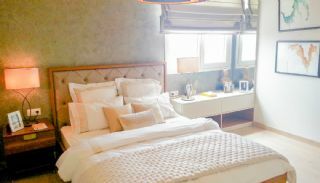 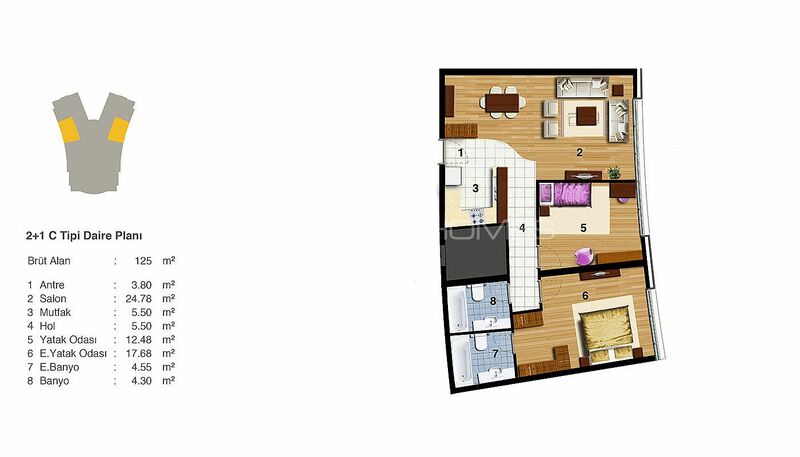 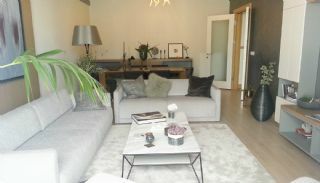 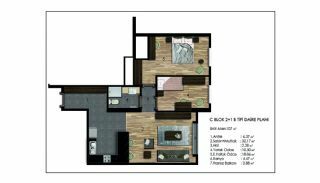 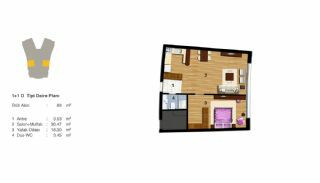 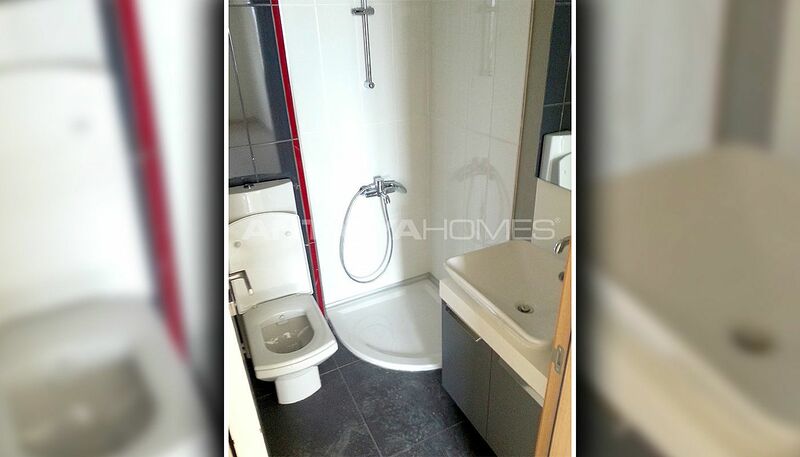 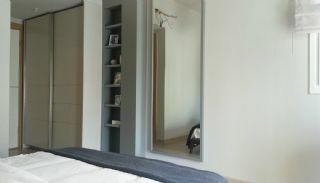 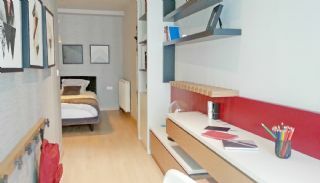 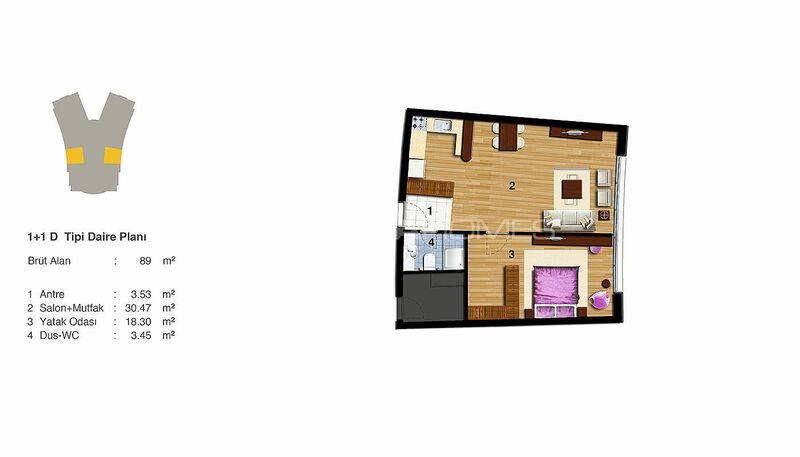 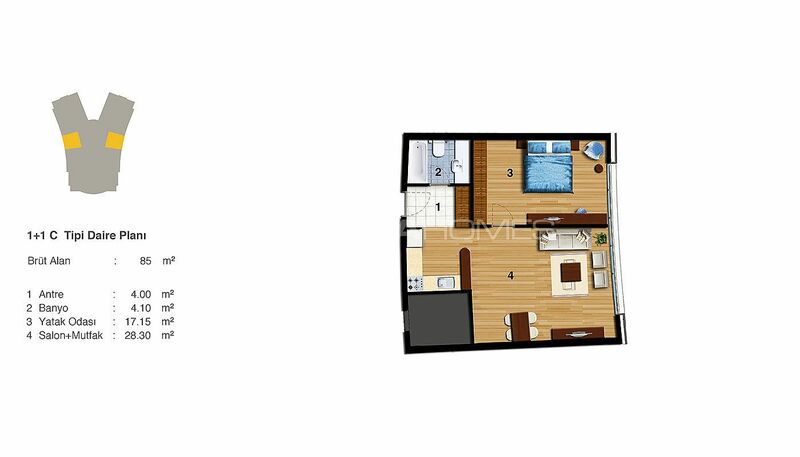 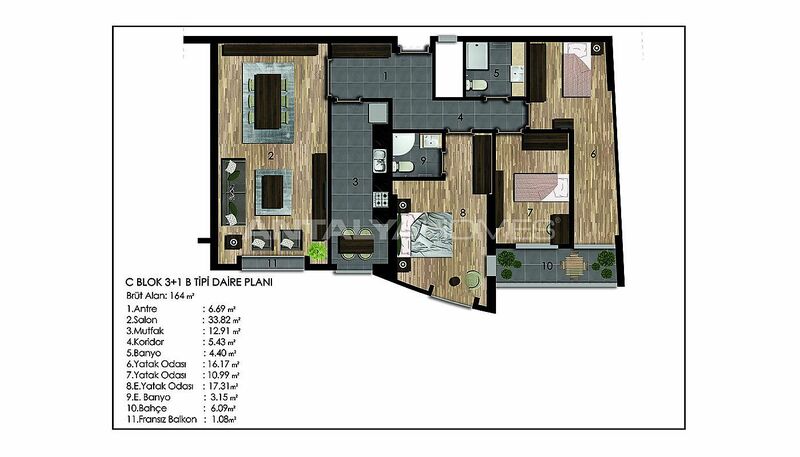 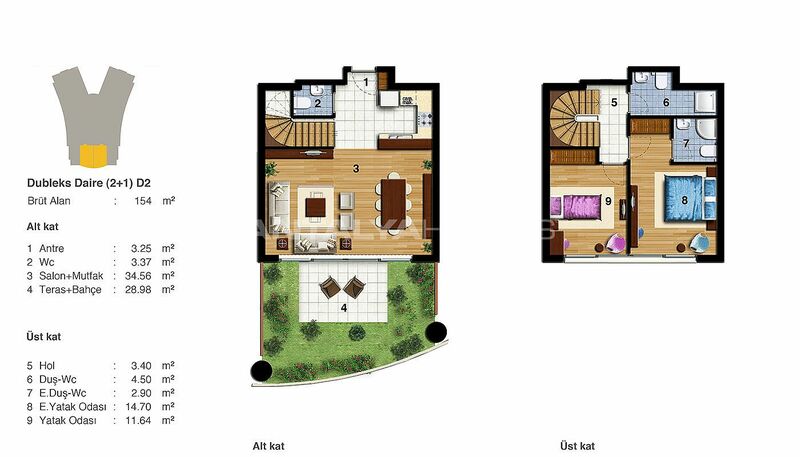 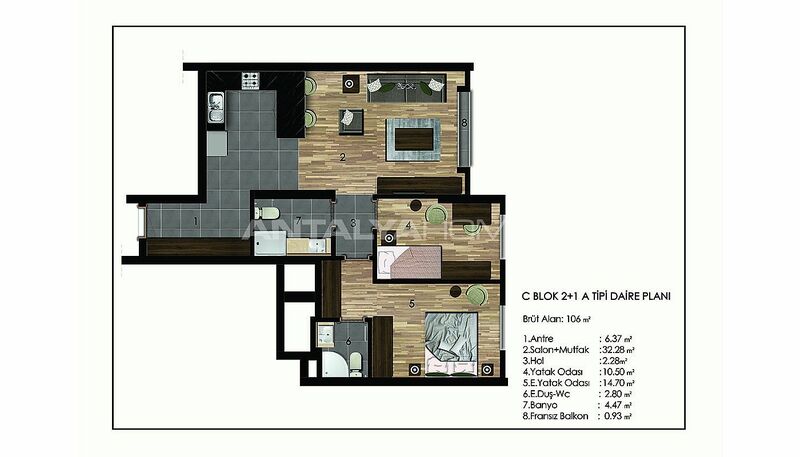 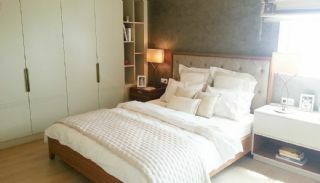 1 bedroom apartments are 66-89 m² with a living room, an open-plan kitchen and a bathroom. 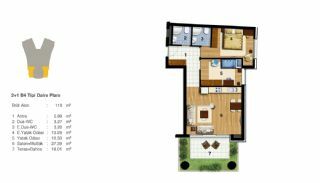 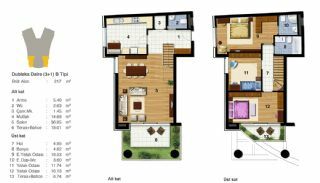 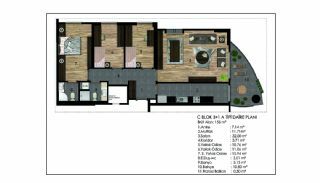 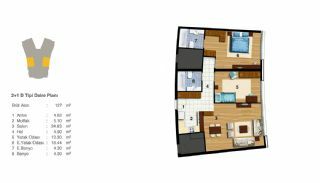 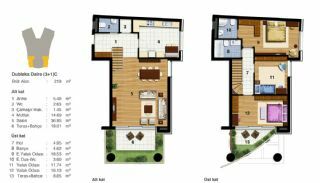 3 bedroom apartments are 156-219 m² with a living room, a separate kitchen, a bathroom, an en-suite bathroom and terrace with garden. 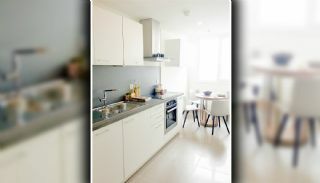 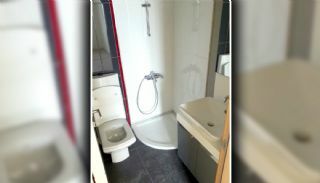 Apartments are equipped with first-class materials like the kitchen appliances, French balcony, video intercom, steel door, cloakroom, spotlighting, central heating system, sprinkler system and fiber optic internet infrastructure.